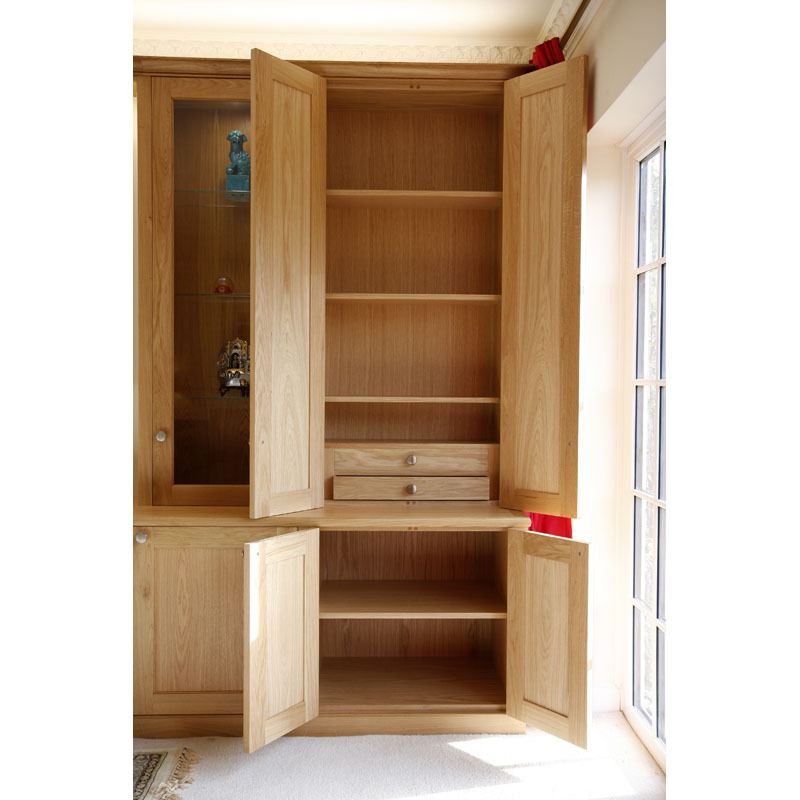 Description: Our client commissioned us to design and build a fully fitted cabinet with shelving and storage unit for their living room. 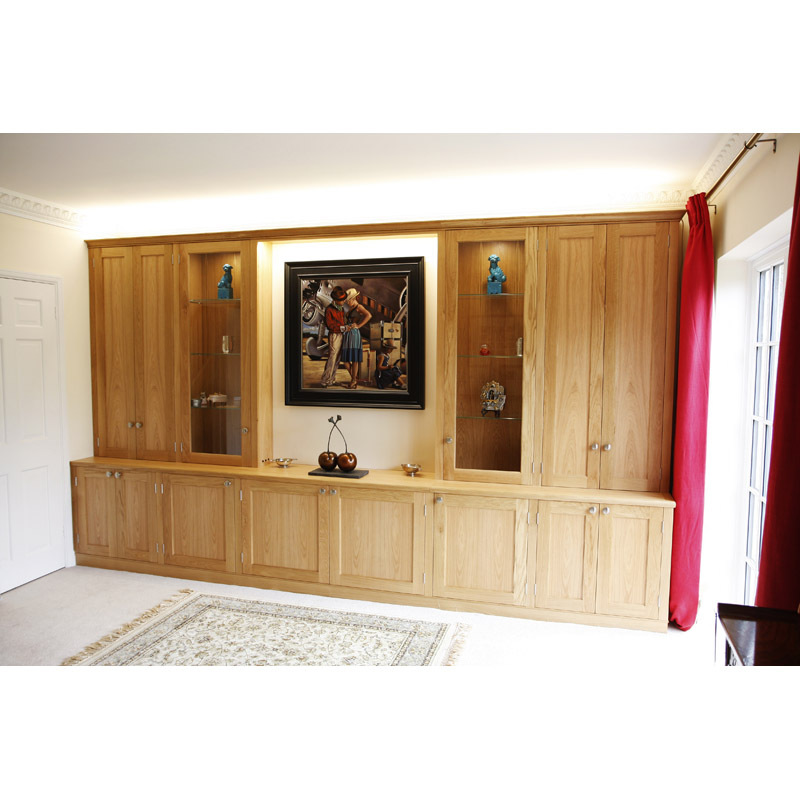 The unit had to accommodate a treasured painting in the centre with a frame and panel door cabinets either side and below, with top cabinets to be set back from lower section. 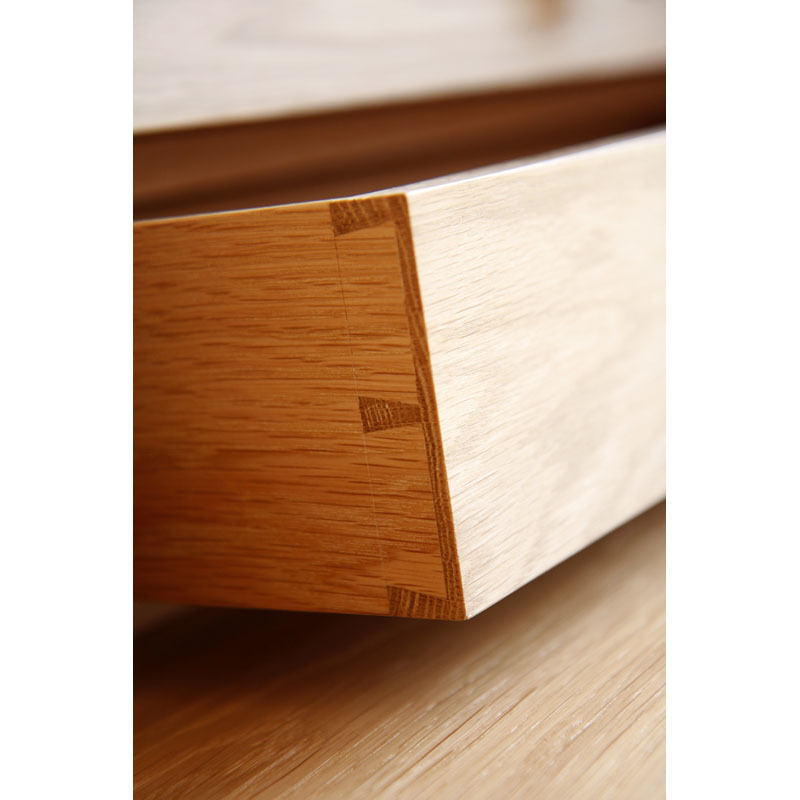 We constructed the unit in a combination of solid European oak and high quality MDF, veneered by hand with oak veneer for consistent graining all finished in hard-wearing, clear lacquer. The client wanted the painting to be housed in the centre of cabinet on a back panel, set slightly forward of the wall, with high quality LED striplight above to provide lighting. The cabinetry on each side of painting consists of one cabinet with double doors and one with a single, glazed door with adjustable shelving throughout. 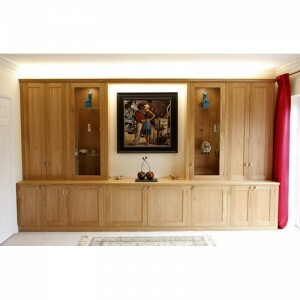 The cabinetry below painting consists of, from left to right, alternately double and single door cabinets with one adjustable shelf in each. 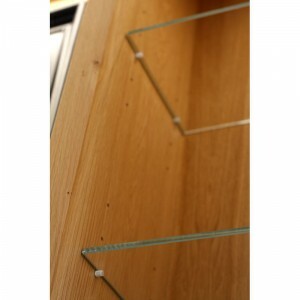 The glazed cabinets have glass adjustable shelving made in 8mm low iron toughened glass, polished all round. 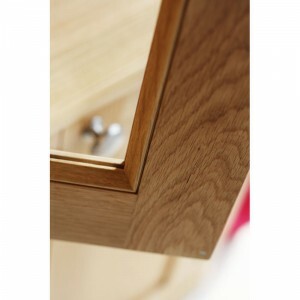 Each cabinet contains one high quality LED spot light. 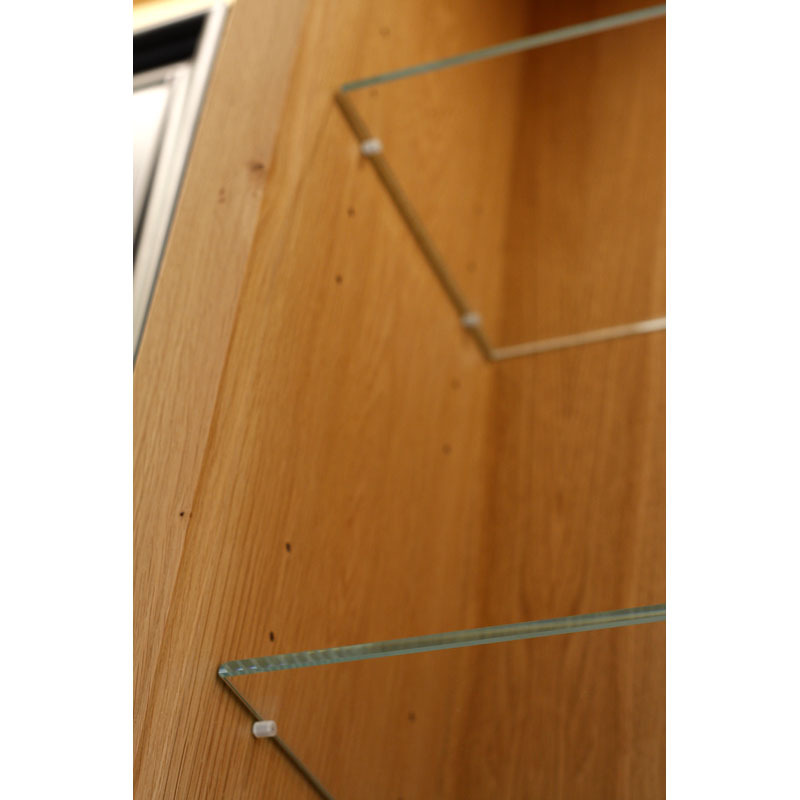 All the shelving had to be adjustable and to sit on high quality, chrome shelf pins. Materials: European Oak and a hard-wearing oiled finish.